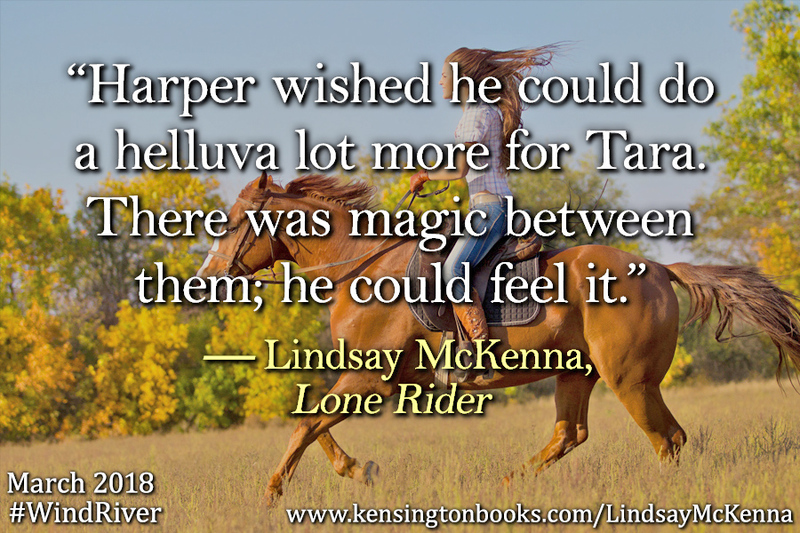 « RELEASE DAY on Lone Rider by Lindsay McKenna! I’m always fascinated by how stress or when threat or real danger intrudes in on a person’s life. What do they do? How do they react to it? What does it do to their daily rhythm of life? How does it change. How do THEY change to the threat that stalks them. As a romance novelists for 35+ years, I’ve been stalked several times. I can tell you that when ugly, threatening content came over my fax machine from one of them, I threw the fax machine away so I wouldn’t get them. I had gone to the police but they said without more info or the man actually attacking me, they couldn’t do anything until a crime was committed. Stupid and I was furious. I finally went to a friend where I lived, who had been in the FBI. I gave him the faxes and other information. He made a call. The faxes stopped. I never knew who my stalker was. That was the first time. The second time, I had no idea that I was being stalked until I walked out the front door of our home one morning and there he was. He’d just rode in on a 2-mile dirt road on his bike-and found me. I was completely shocked and frightened. My husband was away on a business trip. I was alone. And I felt horribly stripped and vulnerable. I managed to put on a good mask of being upset and told him to leave or I’d call the police. That he was not welcomed on private property. He left. I collapsed and cried because I felt like a hunted animal with no weapons or way to stop him if he decided to do differently. Because I’ve had too many times of being stalked, I wanted to write about it. In Lone Rider, Tara Dalton is a combat photographer over in Afghanistan. She’s not a helpless woman by any stretch. Eventually, PTSD makes it impossible for her to continue her military career and she comes home to Wind River Valley. She left at age 18 with a scarred past. She had been kidnapped at sixteen by a local Elson brother, who was into drug running. And he had been obsessed with her for years. And he did something about it. Tara manages to be found and rescued, but not before the scarring from such a capture would brand on anyone. Now, at 28, she is home for good. And she’s coming back to the valley where she was born-and where she’d been kidnapped. Not having a choice, she tries to focus on the future, not the past. Getting a job at the Bar C, meeting Harper Sutton, a combat medic, now a wrangler, things look more even and ‘safe’ for her to adjust. She doesn’t expect to fall in love with this quiet cowboy who listens with his heart. He’s truly a healer, being a medic, and she begins to regain her strength and confidence in herself. No one can outrun the past forever . . . 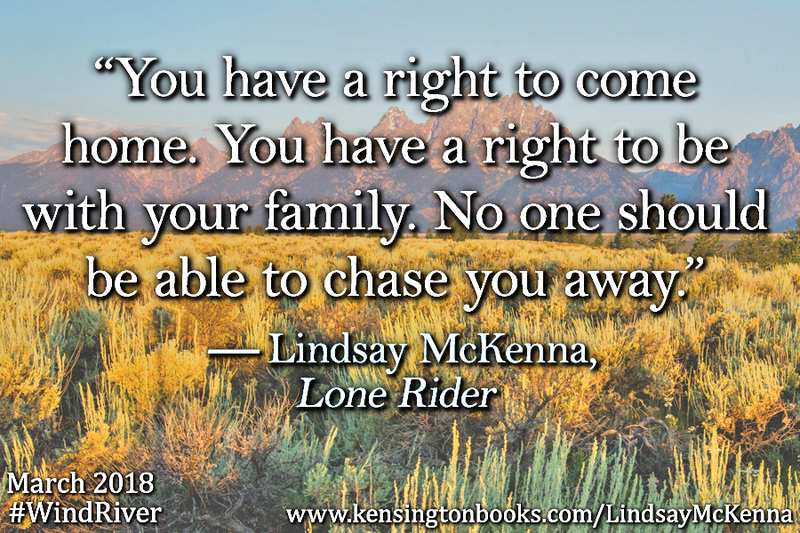 This entry was posted on April 9, 2018 at 1:47 pm and is filed under audio, author, BN.com, Kensington Publishing, Lindsay McKenna, PTSD, Ranching, romantic suspense, Wind River Valley Series, Wyoming. You can follow any responses to this entry through the RSS 2.0 feed. You can leave a response, or trackback from your own site.